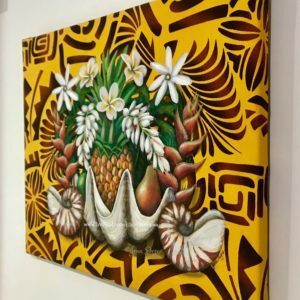 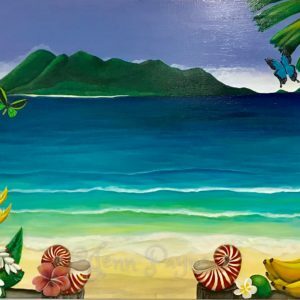 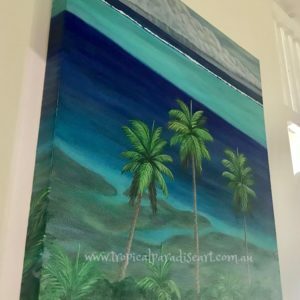 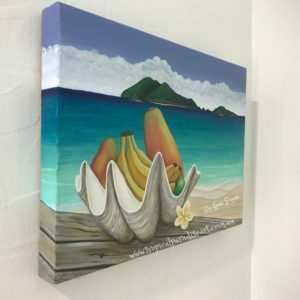 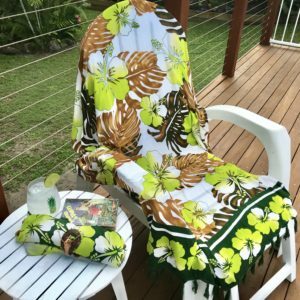 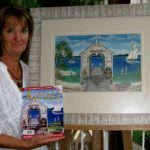 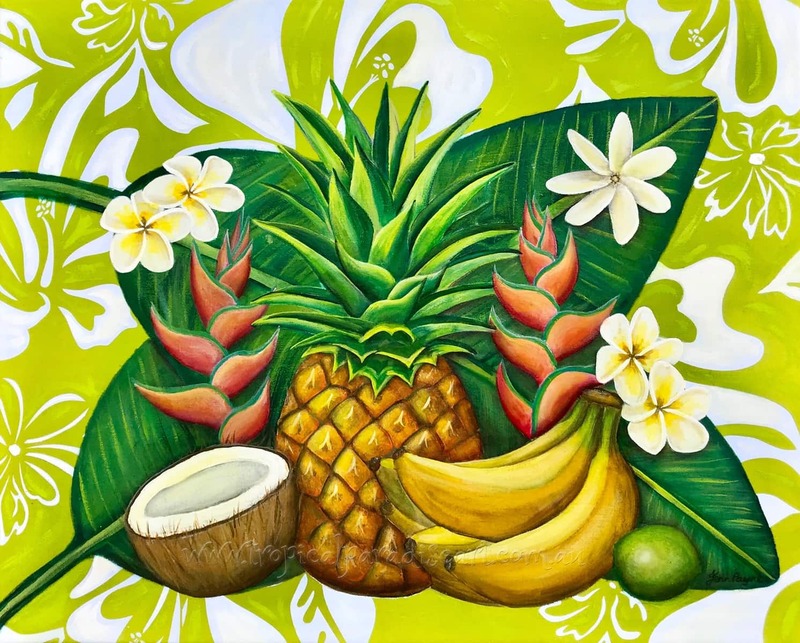 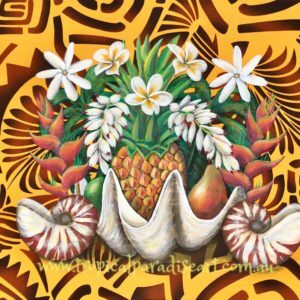 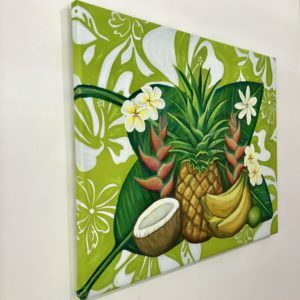 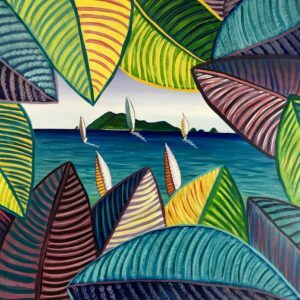 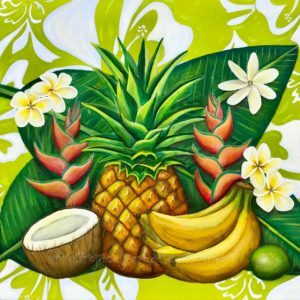 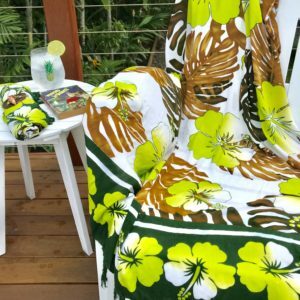 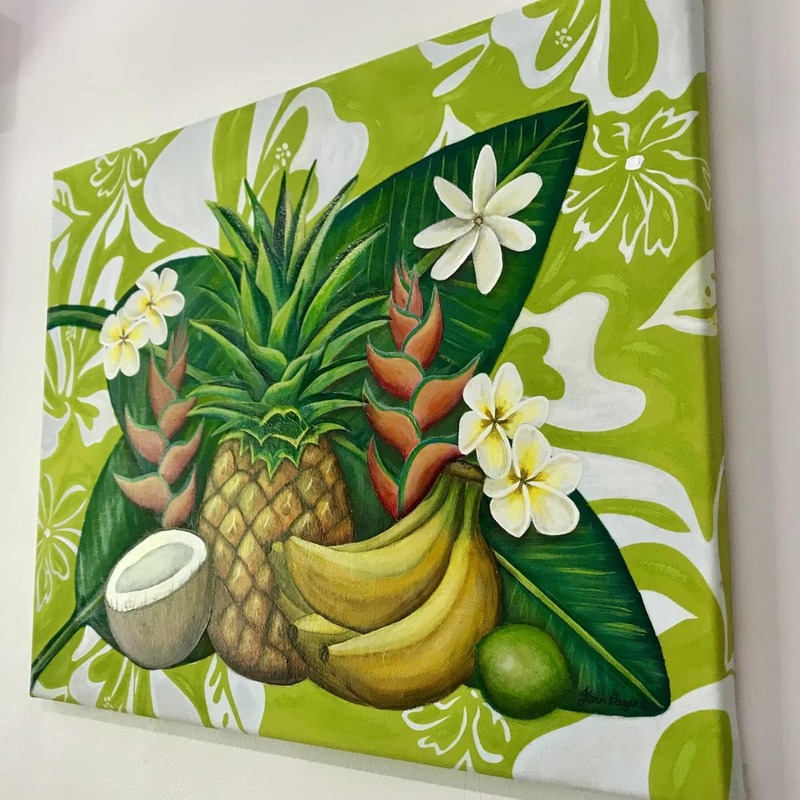 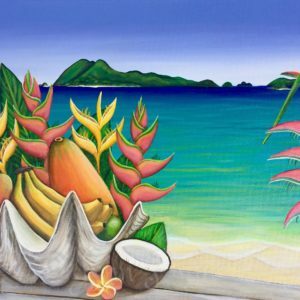 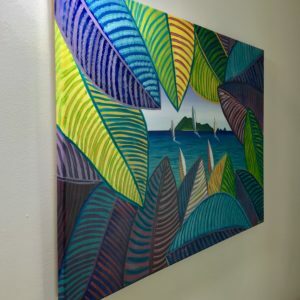 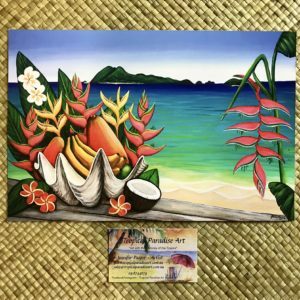 Tropical Abundance original in acrylic on Tahitian fabric backed with canvas on a wooden frame. 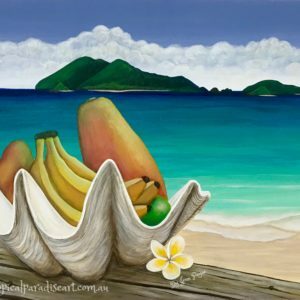 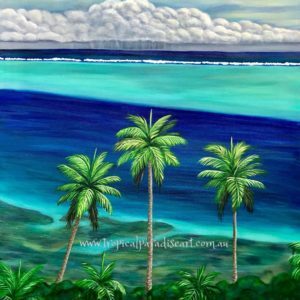 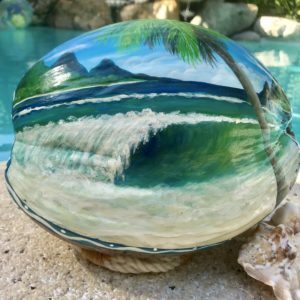 This original painting measures 50cm wide & 40cm tall and will add that Tropical touch to your dining room wall. 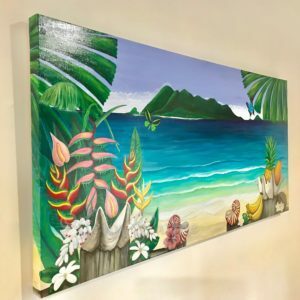 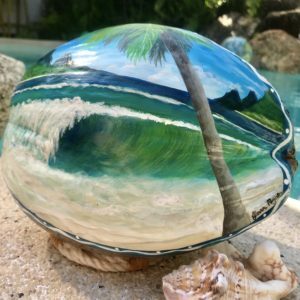 Hei Ma’a e Tiare original painting.